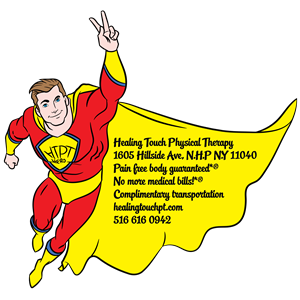 Healing Touch Physical Therapy is revealing the top 3 secrets about Physical Therapy. Being in the Physical Therapy for nearly two decades, we have dealt with various pain matters so we would like give you a very special offer: we are obsessed with making you pain FREE. We know how our Physical Therapy can transform your life therefore; we will buy the first visit. After the first visit, see if we made a difference; if we did not- we don’t deserve your business therefore walk away. When you call 516-616-0942 to schedule your appointment Mention "FREEEVAL" code and the receptionist will schedule you FREE! We can only see so many people in for free per day, so hurry and schedule your appointment by calling 516-616-0942. We want to thank you so much for watching this, we hope you got value from it and we look forward to seeing you soon. Have a great day. If you feel anyone else in pain can benefit from this then feel free to forward it to them as well.